During my research work, I have long been coming across an unusual type of artefacts, which are being described as miniature weathervanes (Swedish: miniatyrflöjel, miniflöjel, German: Miniaturwetterfahne). After many years, I have decided to take a deep look into these interesting objects and provide the readers with thorough analysis, comments and further references. At the end of the 19th century, one miniature weathervane was found in the Black Earth (located on Björko) during the excavations led by archaeologist Hjalmar Stolpe. It is 45 mm long and 35 mm wide (Salin 1921: 3, Fig. 4; Sörling 2018: 59). The material is gilded bronze (Lamm 2002: 36, Bild 4a). Currently, the item is stored in The Swedish History Museum under the catalogue number 5208:188; the on-line version of the catalogue also mentions a presence of 85 mm long pole (stång). Literature: Salin 1921; Ekberg 2002; Lamm 2002; Lamm 2003; Lamm 2004; Sörling 2018; Thunmark-Nylén 2006; catalogue SHM. The miniature weathervane from Birka. Source: Salin 1921: Fig. 4; catalogue SHM. Most likely in 1881 in Tingsgården, a barrow was found on the land of Ålandian landlord Robert Mattsson, whene he took it apart to use the materials for landscaping. Inside of the barrow, he found a wooden riveted coffin with remnants of coal, bones and an iron object. An archaeological research was conducted in the summer of 1903 by Björn Cederhvarf from The National Museum of Finland, who documented the find and transported it to the museum in Helsinki. The landlord’s son made yet another discovery in the barrow’s ground – a damaged bronze item with stylised animal ornament – a miniature weathervane which was 52 mm long, 37,5 mm wide and weighed 17,6 grams. To this day, the object is stored in The National Museum of Finland, designated by inventory number 4282:13. The Åland Museum only displays a very successful replica (Salin 1921: 20, Fig. 21; Lamm 2002: Bild 4c; Lamm 2004). Literature: Salin 1921; Ekberg 2002; Lamm 2002; Lamm 2003; Lamm 2004; Thunmark-Nylén 2006. A miniature weathervane from Tingsgården. Source: Lamm 2002: Bild 4c; Lamm 2004: Fig. 1. Supposedly in 1971, a highly damaged cremation burial was uncovered near Gropstad at Dala-Floda, containing only two fragmentary casts of miniature weathervanes (Frykberg 1977: 25-30). Both were made of bronze and vary in shape, level of conservation and decoration. One of them does not retain pole sockets, has more significant tassels and is of Borre design. The other has pole sockets, but lacks the tassels – instead, it has perforation, which could had been used for tassel attachment – and is decorated with simple concentric circles. Currently, the weathervanes are stored in Dalarnas Museum in Falun, Sweden. Literature: Frykberg 1977; Ekberg 2002; Lamm 2002; Lamm 2003; Lamm 2004; Thunmark-Nylén 2006. Gropstad weathervanes. Source: Lamm 2002: Bild 4e-f.
Another miniature weathervane was found during excavation of a Viking age marketplace near Häffinds on the eastern coast of Gotland (Thunmark-Nylén 2006: 366-367, Abb. III:40:7:I). The excavation was then led by Göran Burenhult from the Stockholm University and the weathervane was the most interesting item found during the work. The object is made of bronze, measures 53 mm × 42 mm (Thunmark-Nylén 2000: 92) or 54 mm × 43 mm (Lamm 2002: 39, Bild 4g; Lamm 2003: 60). It weighs 26 grams (Lamm 2002: 39). During that time, this particular weathervane brought interest mainly due to having been the first one differentiating from the Birka and Tingsgården finds: it has three pole sockets, the yard ends with animal head terminal and the tassels are pointed. Literature: Brandt 1986; Edgren 1988; Thunmark-Nylén 2000; Brandt 2002; Ekberg 2002; Lamm 2002; Lamm 2003; Lamm 2004; Thunmark-Nylén 2006. Häffinds weathervane. Source: Thunmark-Nylén 2006: Abb. III:40:7:I; Lamm 2002: Bild 4g. A completely shape-identical bronze weathervane was found in spring of 2002 during excavation in Söderby, Sweden, lead by Bo Petré. It was unearthed in a particularly interesting cremation grave A 37 – it seems the grave was deliberately dug within a Bronze Age barrow, and the dead (presumed male) was laid on a bear fur along with dogs, a horse, a chest, a long knife, a silver-posament decorated clothing, two oriental silver coins from 9th century, a comb, a whetstone, two ceramic cups and an iron necklace with a hammer pendant and then cremated (Petré 2011: 60-61). The weathervane is 48 mm long, 37 mm wide and weighs 19,9 grams. Three pole sockets hold a bronze circular shaft, which is broken on both ends (Lamm 2002: 39). The grave has been dated to 10th century (Lamm 2002: 39). Currently, the item is stored in The Swedish History Museum under catalogue number 26192 (F2). Literature: Ekberg 2002; Lamm 2002; Lamm 2003; Lamm 2004; Thunmark-Nylén 2006; Petré 2011; catalogue SHM. Söderby weathervane. Source: catalogue SHM. After the Söderby weathervane find, Jan Peder Lamm, the author of an article about miniature weathervanes, received a message of yet another object from Russian archaeologist Kirill Michailov of the IIMK Institute of Russian Academy of Sciences. The miniature weathervane was excavated in Novoselki village in Smolensk area. The message also included a drawing, produced by Mr. Michailov himself after the find in 1996. 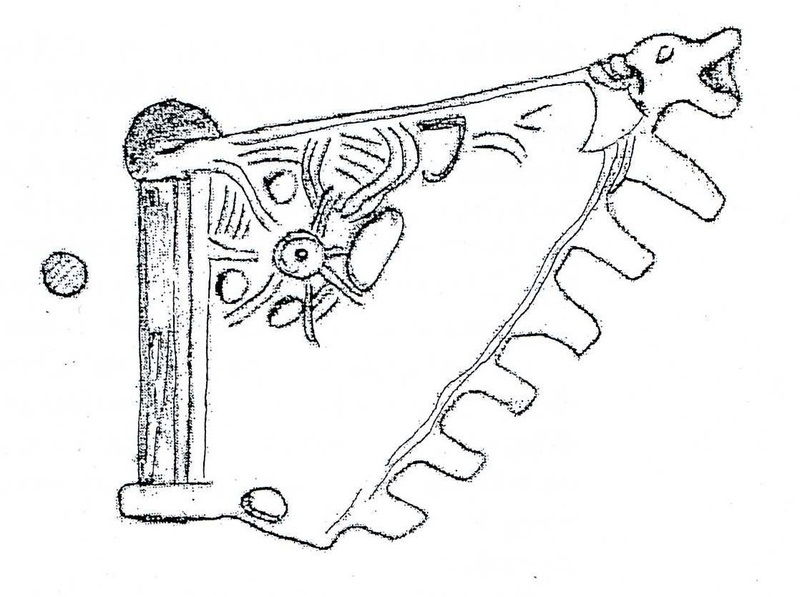 The drawing shows that the item is the same type like the Häffinds and Söderby finds, though differentiating in the number of pole sockets – having only two instead of three and mounted with an iron shaft. Dr. Lamm stated (Lamm 2002: 40; Lamm 2003: 61) that the find originates from the grave nr. 4, which was marked as incorrect after the publication of E. A. Schmidt’s find in 2005. Schmidt (Schmidt 2005: 196, Il. 11:2) claims that the miniature weathervane was found in the grave nr. 6, along with a spearhead, a knife and a ceramic cup. The object was depicted with a long needle pin and a ring in the form of clothing pin. Personal interviews conducted with archaeologists Sergei Kainov (State Historical Museum of Russia), Kirill Mikhailov (Institute for the History of Material Culture, Russia) and jeweller Vasily Maisky indicate that Schmidt’s drawing is a reconstruction and that the weathervane (which is now stored in The Smolensk State Museum-Preserve under inventory number 23656/1-9) is broken to pieces and lacks the central part with the ring. Despite that, there is no reason not to trust in Schmidt’s reconstruction; it only means that not all of the pieces of the original find are on display. Literature: Ekberg 2002; Lamm 2002; Lamm 2003; Lamm 2004; Schmidt 2005; Thunmark-Nylén 2006. A drawing of the Novoselki weathervane. Source: Kirill Michailov; Lamm 2004: Fig. 7. The miniature weathervane from Novoselki. 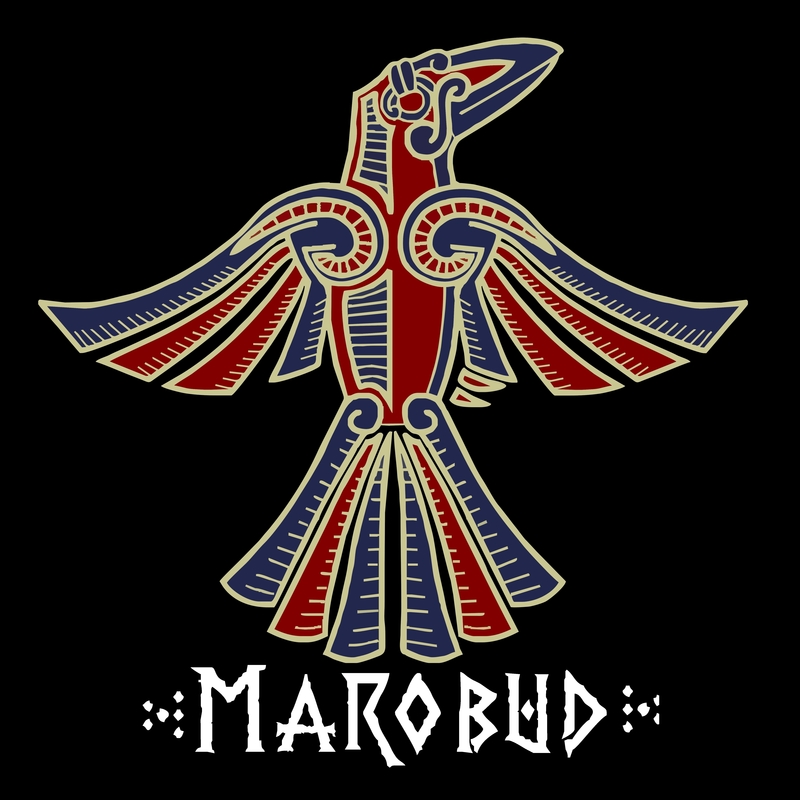 Source: Vasilij “Gudred” Maiskij. A drawing of the weathervane from Novoselki. Source: Schmidt 2005: 196, Il. 11:2. During the autumn of 2002, the International Sachsensymposion (Internationales Sachsensymposion 2002) was organised at the Schwerin castle, where Dr. Lamm held a speech on then newly excavated Söderby and Novoselki weathervanes. After the presentation, he was informed by Friedrich Lüth about yet another, similar object found nearby, at the Viking age trading centre Menzlin. The very same day, Mr. Lamm went to see the find that was deposited in a special showcase in Menzlin, which is used for displaying newly excavated items from the area. 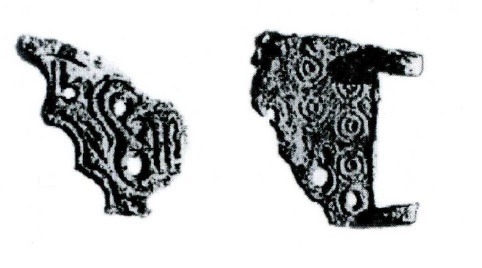 He acknowledged that the item is in fact a miniature weathervane and is very similar to the Birka and Tingsgården finds (Lamm 2003). The weathervane was probably excavated in 1999 and published the next year (Schirren 2000: 472, Abb. 136:1). As far as we can tell from the detailed photos, it is about 50 mm long and 38 mm wide. Literature: Schirren 2000; Ekberg 2002; Lamm 2002; Lamm 2003; Lamm 2004; Thunmark-Nylén 2006. Menzlin weathervane. Source: Lamm 2003: Abb. 1. 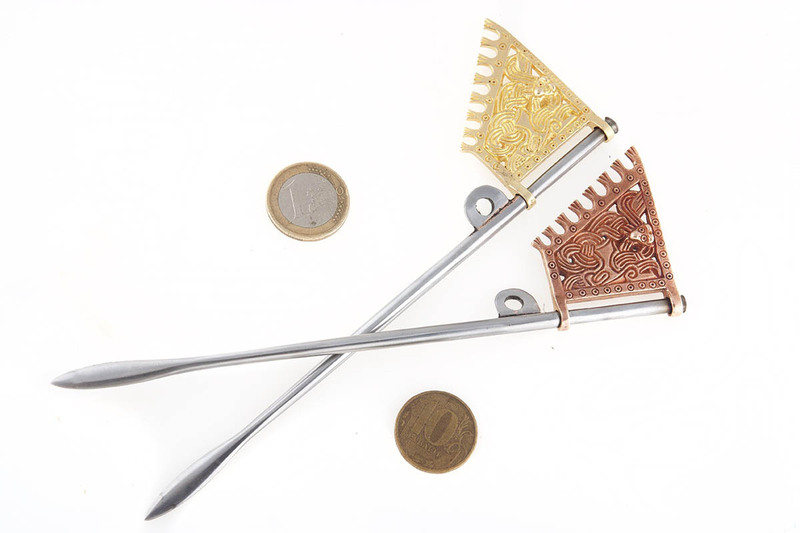 Looking at the finds, we can clearly define two standardized types of the miniature weathervanes – the “Birka type” and the “Häffinds type” – along with the unusual and atypic pieces (Gropstad). Next, we will take a closer look at the presumed function of these objects and the symbolism of miniature weathervanes in Old-Norse culture. Map of the miniature weathervane finds mentioned in the article. Source: Lamm 2004: Fig. 2. Jan Peder Lamm had three theories on the possible function of miniature weathervanes. According to him, they were mainly a status symbols and pieces of artistic value. At the same time, he held the opinion of the objects being a part of boat-models, similar to ship-shaped candlesticks (Lamm 2002: 40; Lamm 2003: 61; Lamm 2004: 138), which we know from Norwegian church environment of 12th and 13th century (Blindheim 1983: 96, Fig. 7). The third supposed function was in a seafaring naviagion tool – Mr. Lamm suggested the weathervanes could had been used to help with determining angular height of astronomical objects. This theory was pursued before Lamm by Engström and Nykänen (Engström – Nykänen 1996) but was denoted as surreal and inconclusive (Christensen 1998). As far as we can tell, the theory of boat models does not fit most of the listed finds. The boat-shaped candlestick platforms are at least two centuries younger and we have only one pair-find of the weathervanes from Gropstad. 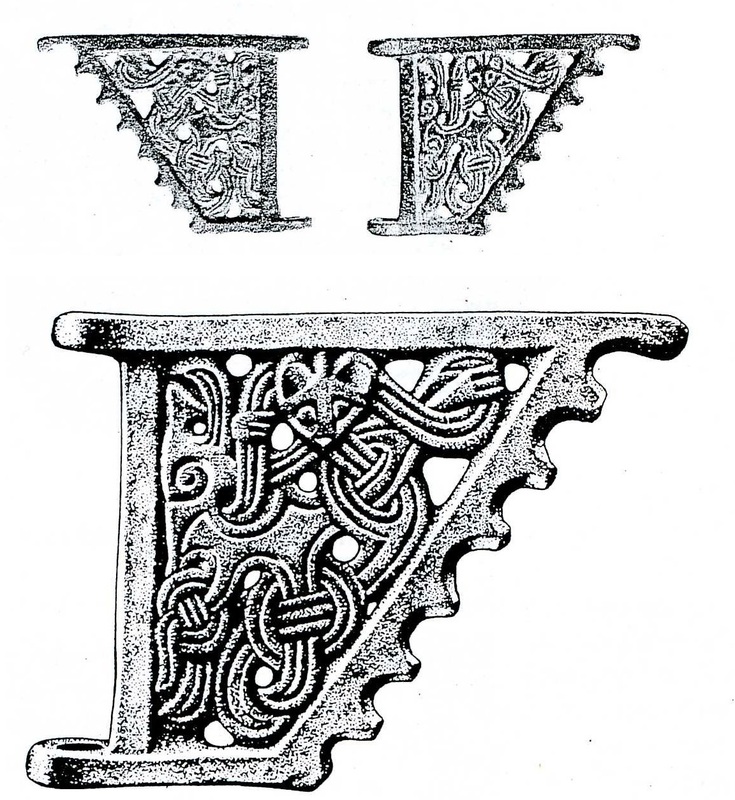 Thus, it is more probable that the Viking-Age miniature weathervanes were a part of clothing pins, as can be seen at the example from Novoselku. It seems that the poles were narrowed on the inserting part, while having the tip widened and flattened. Below the weathervane, there was a eyelet for attaching a string, which was used for fixing the pin. This method was most likely used for cloak fastening. The standardized look can indicate a centralized manufacture and distribution via for example gift-giving. Cloak pins with miniature weathervanes made by Vasili “Gudred” Maisky. The literature on miniature weathervanes was to a major extent focused on symbolism that was presumed the items had. From the era between 1000-1300 AD, we know of at least five complete Scandinavian weathervanes and several of their fragments – all of which were made from gilded high-percentage copper (Blindheim 1983: 104-105). That is in compliance with literary sources, which place gilded weathervanes (oldnorse: veðrviti) at the bow of the war ships of important personas (Blindheim 1983: 93; Lamm 2003: 57). The bow-situated weathervanes can also be found in 11th-13th century iconography, while in the older iconography, the weathervanes can also be found on masts (Blindheim 1983: 94-98; Lamm 2004: 140; Thunmark-Nylén 2006: 367). Aside of that, we also have several instances of the weathervane motive used on metal applications of horse harnesses, pendants and – as discussed above – as clothes pins, which are very faithful miniatures of the genuine ship weathervanes. 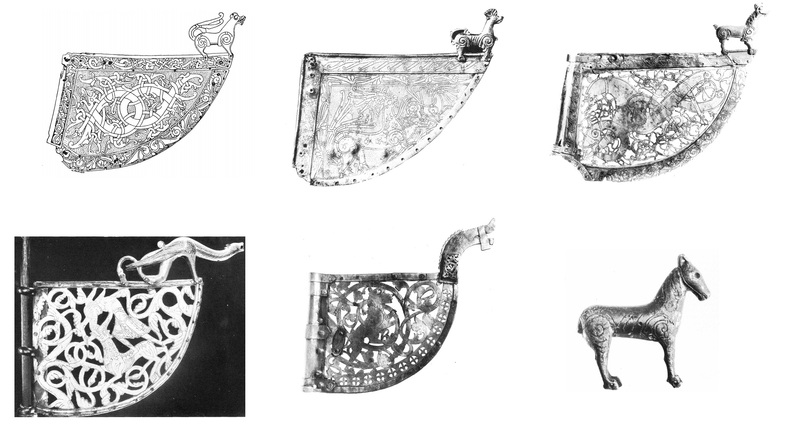 Scandinavian weathervanes and their fragments, 1000-1300 AD. From the upper-left: Källunge weathervane, Heggen weathervane, Söderal weathervane, Tingelstad weathervane, Høyjord weathervane, a horse figurine from the Lolland weathervane. Source: Blindheim 1983: Figs. 1, 3, 4, 6, 9, 20. Selection of miniature weathervanes depicted in iconography, 800-1300 AD. From the left: Sparlösa runestone, Stenkyrka runestone, Bergen engraving, engravings from churches in Borgund, Urnes and Kaupanger. Source: Lamm 2004: Fig. 10; Blindheim 1983: Figs. 8, 10, 11, 12. 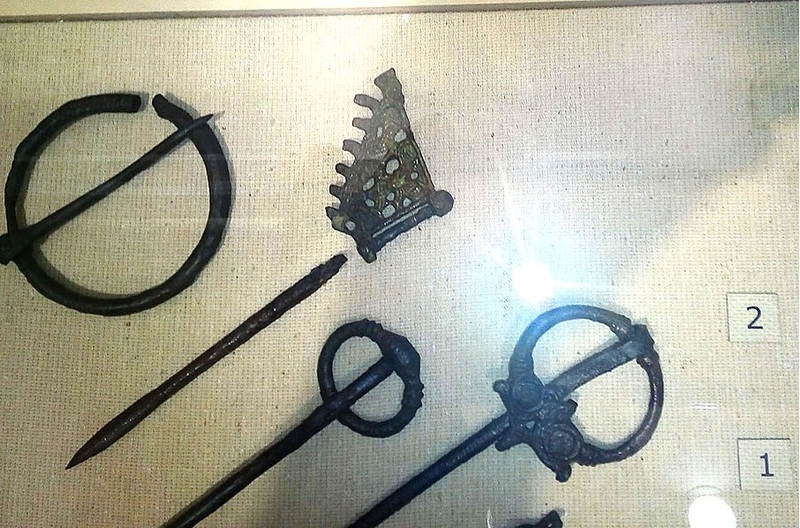 Horse harness fittings in a shape of weathervane, Borre and Gnezdovo. Source: Myhre – Gansum 2003: 27; Lamm 2004: Fig. 9; catalogue Unimus. Norwegian church boat-shaped candlesticks with weathervanes, 1100-1300 AD. The weathervanes first started to appear on bow of the ships as early as 11th century, when they began to replace the wooden heads. Their function did not change though – the weathervanes were also removable, and the animals depicted on them were meant to frighten any chaotic agents dwelling along the journey. At the same time, the weathervane posed as a revering representation of the ship’s owner and thus presented a clearly distinguishable symbol. It is often stated that the function of weathervanes changed throughout the following ages, finding the usage on church buildings. However, according to Martin Blindheim (1983: 107-108), the old Norwegian military service laws mention that important ship equipment was stored in churches, and while the rest of the equipment (sails, ropes) fell victim to the passing of time, the weathervanes survived and became a permanent property of the churches. The connection of a church and a ship in naval-oriented Scandinavia is also backed up by the church boat-shaped candlesticks. At the very least we can say that during the Viking Age, the weathervane was perceived as a property of the ship’s owner and as a precious symbol referring to naval activity and personal reputation. Not every ship owner could afford such an accessory though – the weathervane was undoubtedly limited only to a very small group of the richest, who owned huge and top-grade equipped vessels. The tradition of using weathervanes was so anchored in Scandinavian culture, that it had a substantial effect on weathervane usage even in different parts of Europe – e.g. France where the French word for “weathervane” (girouette) originates from Old Norse (Lindgrén – Neumann 1984). Blindheim 1983 = Blindheim, Martin (1983). De gyldne skipsfløyer fra sen vikingtid. Bruk og teknikk. Viking XLVI, Oslo, 85-111. Brandt 1986 = Brandt, Bengt (1986). Bandlundeviken. En vikingatida handelsplats på Gotland. Grävningsrapport och utvärdering, Stockholm. Brandt 2002 = Brandt, Bengt (2002). 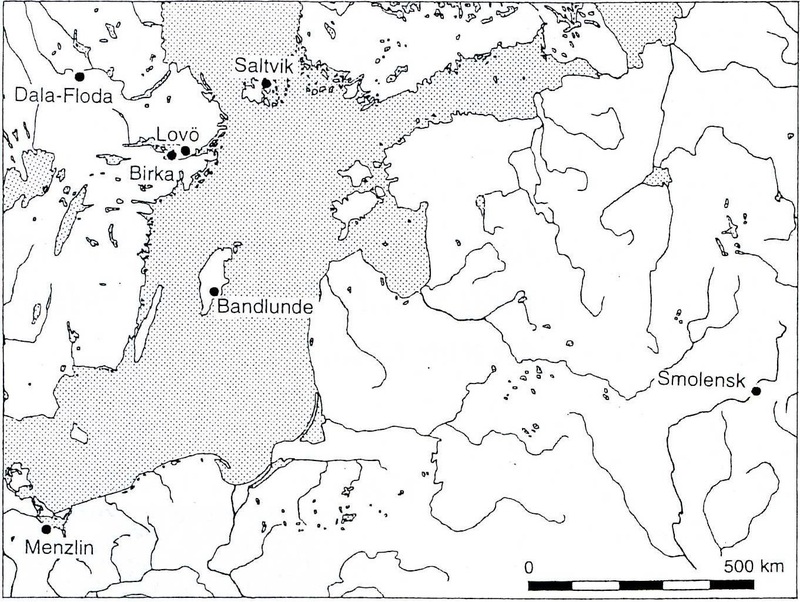 Bandlundeviken – a Viking trading centre on Gotland. In: Burenhult, G. (ed). Remote Sensing, vol. 2, Theses and Papers in North-European Archaeology 13:b, Stockholm, 243-311. Edgren 1988 = Edgren, Torsten (1988). Om leksaksbåtar från vikingatid och tidig medeltid. In: Steen Jensen, J. (ed. ), Festskrift til Olaf Olsen på 60-års dagen den 7. juni 1988, København, 157-164. Ekberg 2002 = Ekberg, Veronica (2002). På resa till en annan värld. Vikingatida miniatyrflöjlar. C-uppsats i arkeologi, Stockholms universitet, Stockholm. Engström – Nykänen 1996 = Engström, Jan – Nykänen, Panu (1996). New interpretations of Viking Age weathervanes. In: Fornvännen 91:3, 137-142. Frykberg 1977 = Frykberg, Yvonne (1977). Syrholen i Dala-Floda socken. Seminarieuppsats i arkeologi, Stockholms universitet, Stockholm. Christensen 1998 = Christensen, Arne Emil (1998). The Viking weathervanes were not navigation instruments! In: Fornvännen 93, 202-203. Lamm 2002 = Lamm, Jan Peder (2002). De havdjärvas märke – om vikingatidens skeppsflöjlar. In: Gotländskt arkiv 74, 33-42. Lamm 2003 = Lamm, Jan Peder (2003). Die wikingerzeitliche Miniaturwetterfahne aus Menzlin, Lkr. Ostvorpommern, und verwandte Funde. In: Bodendenkmalpflege in Mecklenburg-Vorpommern, Jahrbuch, 50, 57-63. Lamm 2004 = Lamm, Jan Peder (2004). Vindflöjlar : liten klenod med stort förflutet : den vikingatida flöjeln från Saltvik aktualiserad av nya fynd. In: Åländsk odling 61, 129-143. Lindgrén – Neumann 1984 = Lindgrén, Susanne – Neumann, Jehuda (1984). Viking weather-vane practices in medieval France. In: Fornvännen 78, 197-203. Myhre – Gansum 2003 = Myhre, Bjørn – Gansum, Terje (2003). Skipshaugen 900 e. Kr. : Borrefunnet 1852-2002, Borre. Petré 2011 = Petré, Bo (2011). Fornlämning RAÄ 28, Söderby, Lovö sn, Up. Gravfält från vendeltid och vikingatid samt några gravar och boplatslämningar från bronsålder. Lovö Archaeological Reports and Studies Nr 10 År 2011, Department of Archaeology and Classical Studies, Stockholm University. Salin 1921 = Salin, Bernhard (1921). Förgylld flöjel från Söderala kyrka. In: Fornvännen 16, 1-22. Schirren 2000 = Schirren, Michael C. (2000). Menzlin, Lkr. Ostvorpommern. In: Bodendenkmalpflege in Mecklenburg-Vorpommern, Bd. 47, Jahrbuch 1999, Lübstorf, 472. Sörling 2018 = Sörling, Erik (2018). Fynden från ”Svarta jorden” på Björkö : från Hjalmar Stolpes undersökningar, Katalog, Uppsala. Thunmark-Nylén 2000 =Thunmark-Nylén, Lena (2000). Die Wikingerzeit Gotlands IV:1–3. Katalog. Stockholm. Thunmark-Nylén 2006 = Thunmark-Nylén, Lena (2006). Die Wikingerzeit Gotlands III: 1–2 : Text, Stockholm.